In the world of Tyriel there have been many heroes, none more famous than the monster slayer, Gerhold of Vilheim. After the wife of a powerful lord is kidnapped by a vampire, Gerhold is hired to track down the creature. Upon reaching the vampire’s castle he is issued his greatest challenge: fight his way through the monster’s fortress and rescue the woman, or fail, and leave the lady to the unavoidable fate of undeath. A Symphony of Blood is a heart pounding action-adventure fantasy novella that will keep you riveted until the final page. At first I didn't think I was going to like this, it's pretty much a kid reading this story to himself. I thought I would get the impression that it was being read to me but I didn't. After the Prologue I forgot all about Jarrell and the strange hooded man. I got so wrapped up in the story that before I realized I was over halfway through. It reminded me of a video game, though I can't place the name at the moment that's the feeling I was getting. Matthew Swiontek did an amazing job making the fight scenes come to life for me. I really enjoyed seeing a slayer in action, reminded me of my Buffy the Vampire Slayer days. Except more burly and manly of course. I hope there is more in store for this little novella, with a twisted ending like that I wanted more! I did not see that ending coming! Normally books don't surprise me that much, I can usually tell something is going to happen. But I did not see that one! This is a short 108 page long novella, so it instantly grabbed my attention. I was kind of shocked at how fast I got wrapped up in it. Even Jarrell's part at the beginning captured me. I have a couple theories about who the hooded character was. I won't say any of them because they are just theories and I don't want to confuse anyone. Especially because I could be way off, I'm not one for solving mysteries. 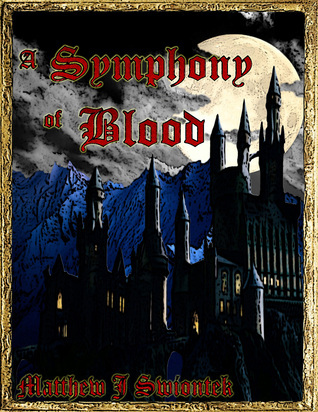 If you're looking for a short, action packed read full of vampire slaying, this is the book for you. I loved it and I hope the story isn't over.